Find your way by the light of a dragon. 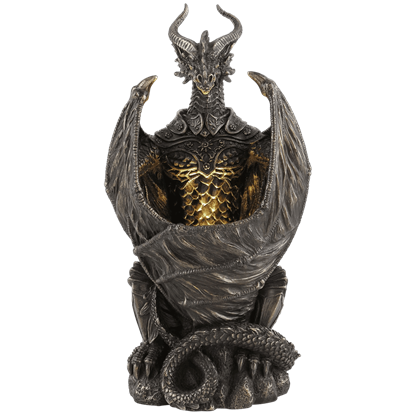 Magnificent to behold in both day and night, the Armoured Dragon LED Night Light is a remarkable addition to statue collections and fantasy themed homes. An LED within creates the magical glow. 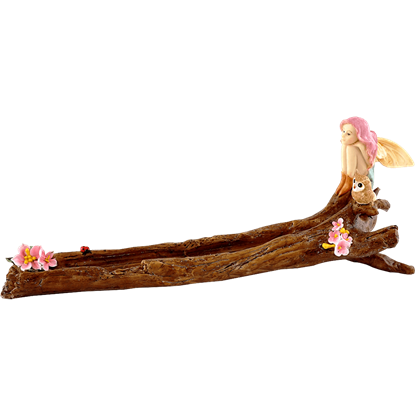 The Driftwood Fairy Incense Burner would make a great looking and great smelling accent piece. 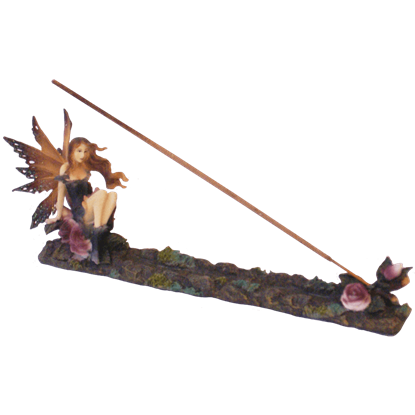 This incense burner features a fairy on one end sitting on a large piece of driftwood, which acts as the base of the burner. Like any sentient species, fairies can experience stress and hardship. And like mortals, fairies are known to use incense to relieve stress. 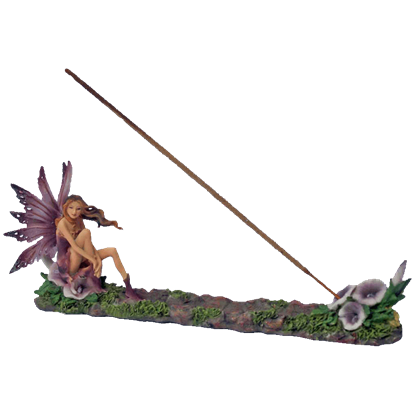 If you are going to light a stick of incense, do so with the Fairy Incense Burner. Sitting on a bed of flowers, this fairy is the perfect image of peace and serenity. All that is missing is a stick of incense to burn. 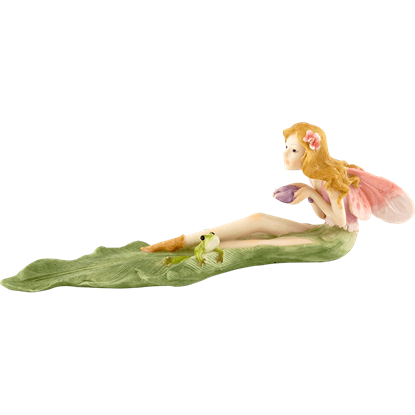 And how fortuitous indeed, because this fairy is actually a Fairy with Lilacs Incense Burner! The Fairy with Roses Incense Burner depicts a peaceful scene that involves a fairy resting amid a bed of her favorite flowers. 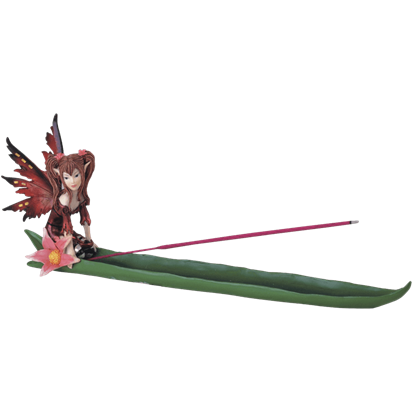 While this fairy relaxes in the best way she knows, you can relax with her by lighting a stick of incense. Allow a sense of calm to wash over your body through the use of aromatherapy when you burn incense with the Owl Fairy Incense Burner! It is designed to look like a fairy and her owl companion seeking a moment of relaxation! 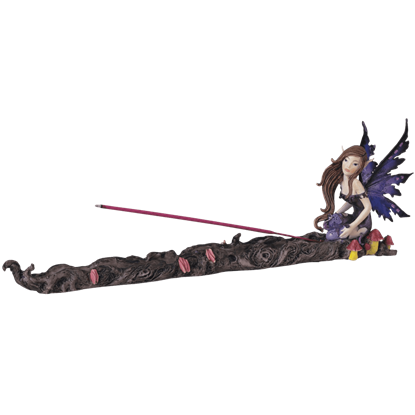 The Red Fairy Incense Burner would make a great looking and great smelling accent piece in your home. This incense burner features a fairy dressed in red kneeling inside a large leaf next to a pink flower, which acts as the base. Humans blow out candles when they make wishes. Fairies are the ones who do the granting, but instead of blowing out a burning flame, they keep it lit. 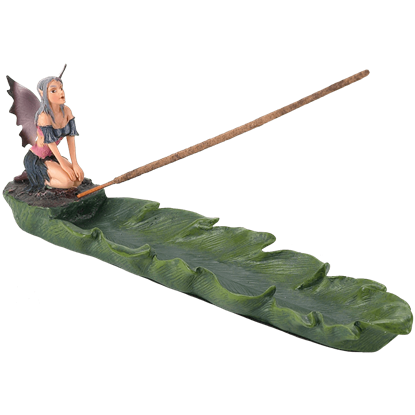 The Wishing Fairy Incense Burner will bring good tidings and fragrance to your home.